After a tiring month of contribution and raffle gaining. Treasure hunting and brain smouldering in the quizzes, it is a sad time. Its the time to end an awesome contest and an awesome experience. As of today the 8th of February 2010 I declare the contest is OVER! I am certain that we are going to remember this contest for a while ...and just for keep sake we should remember small details from this contest for future quizzes. I set out with a simple opening contest. 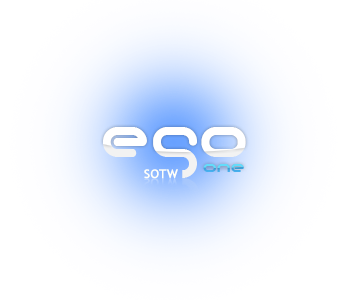 I wanted the members involved in ego-one and the work that is put into it. I thank all for the support and time spent, I hope the experience has left a solid mark that will keep you guys posting and having fun, and learning on ego-one. I feel that soon we'll earn the reputation of an awesome resource, news and advice site. But lets recap the contest. Started in late December 2009, lugged through January, and a bit February. The prizes were both virtual and material ... top 2 prizes included limited edition jalokimgraphics tshirts for real fans. He wins a stunning new forum makeover and matching HTML page courtousy of jalokimgraphics. Along with that his web page will be featured and promoted for a limited time on ego-one. And not to mention a brand spanking new tshirt for walking around town!. coming in second, a valued member on ego-one, that has always had the best of fun on ego. And a fully custom html for the website of his choice. That site will later be promoted on ego-one. He gets an html page and some recognition on ego-one for his efforts. and a giant round for Sanket the kingpin himself!. html (+forum theme) : a general description of the site and what you expect. and a link to the lucky web page. The designs will be created in order of winning... so first up sankets forum makeover and html pages. Sanket and Karkooshy please PM me some address details to where I can send the shirts. I thank all once again. Oh and look out for the shirts ... I'm going to test print a few new designs and the shirts will be available for purchase. Congrats Guys! Enjoy the forum maker over, HTML Page, and Shirt. Please take pictures if you want to and show us how the shirt is. Thank you Guys , But I am Really Sad about the T-shirt , Not wining it ! You all worked hard for it. Congratz to kar & F10. Thank you all. I am sending Jalo my address right away. Feels amazing to win this contest. 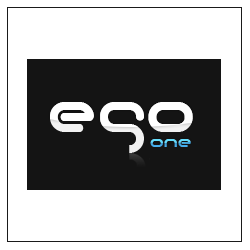 Thanks to Ego-One staff for making this contest a big success ! I have received my Tee as promised, it looks cool. Yes it is, everyone at my home is impressed with the logo.